It’s the weekend and you have friends coming over for drinks so ditch the unhealthy snacks and try this great new recipe. 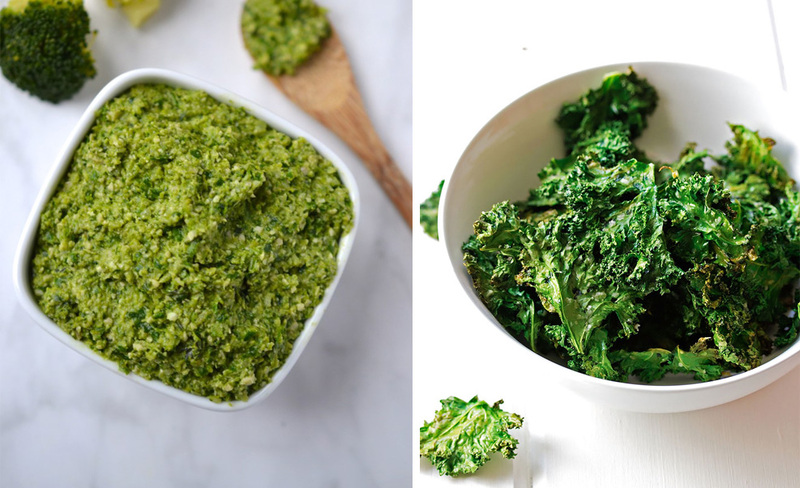 Try this broccoli pesto and kale chips with a little glass of Rose, we won’t tell if you don’t!!! Place all ingredients in a food processor or blender and blend until creamy and smooth.The pesto will keep in a sealed container in the fridge for upto a week. For the kale chips preheat the oven to 200 degrees, tear the kale leaves into a roughly 4cm squares and toss in oil and salt and lay on a baking tray until crisp.